Extra sole for additional safety. Rivet reinforced for added strength. Thick inner felt for comfort. 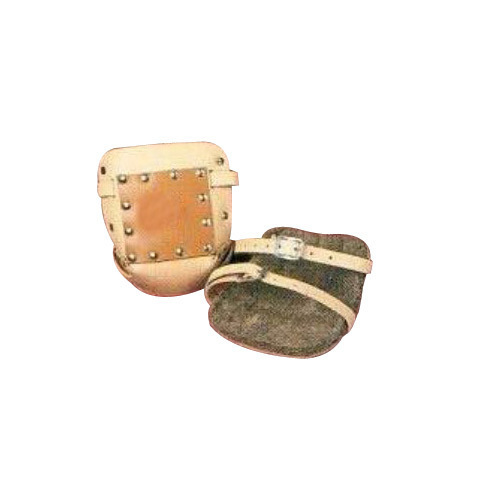 Leather strap with metal buckle . Ludhra Overseas is an outstanding forerunner, into Business since 1952, in the quality manufacturing & exporting of the wide-ranging Hand Tools, Wood Working Tools, Garden Tools, Machine Tools, Automotive Tools, Leather Products & Scaffoldings. With the decades of experience at the backrest, Ludhra Overseas was configured by Mr. Vinod Ludhra (Managing Director) & Mr. Varun Ludhra (Exports Director) on keeping Quality & Economy as the basic parameters to the sound foundation. At Ludhra Overseas each of the produce is professionally managed from the designing at the in-house Design room to the final production. Selective in the choice of raw material, Ludhra Overseas produce undergo stringent quality testation at the quality control department for the users benefit. At Ludhra Overseas, all the products are made well in tune according to the International Standards & Specifications. We have innumerable happy & satisfied customers nationally & internationally. The company is currently exporting to more then ten countries worldwide. With the, committed commitments to the quality orientation, cost effectiveness & timely deliveries, Ludhra Overseas enchases the skin -deep appreciations bestowed by the clientele that exhibits the success experienced.